If you describe your sound as “baroque lounge twang for the soul,” you’d better deliver, right? 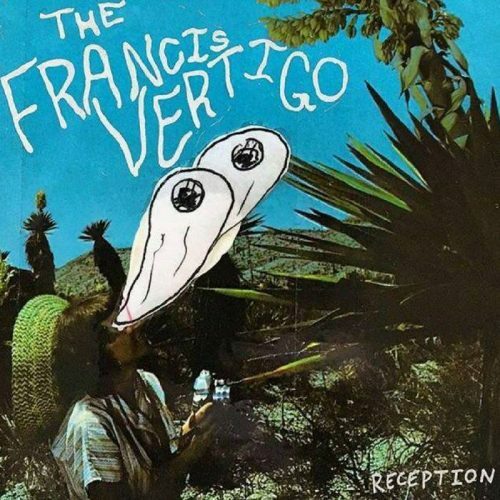 The Francis Vertigo don’t disappoint, especially with their most current EP Reception, released in March of 2016. It’s always admirable when your band has a jam band flow, yet your longest song is the EP ending “Fool,” which is just a hair under seven minutes. Being of the era when Genesis thought it was fine to have a song take up an entire album side (“Supper’s Ready” at 22 minutes), seven minutes can tie up your point quite succinctly. Three of the five songs on Reception are in three-quarter time, which makes sense since the three-piece Greenville, South Carolina band cite Rush as one of their influences. 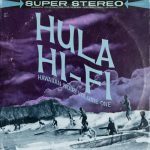 “Hodge Podge,” the opening track, features bass and drum interplay from Oliver Snow and Sam Goldsmith, while guitarist Reuben Knights does his own thing. “Family Machine 2” is also track two on Reception and Knights invokes a Julian Cope vocal styling. Goldsmith adds intricate drum fills to accentuate the track and compliment Snow’s bass melodies. Whereas some bands fill their sound with delay pedals, The Francis Vertigo uses their phrasing to create their wall of sound. The Francis Vertigo show their love for David Bowie with the reggae-styled “Small Thought” that starts off mild, but ends up rocking. This song also indicates a leaning toward the Meat Puppets and Firehose with the complicated bass lines and guitar. The bass adds to the drum groove, while circling around the guitar melodies. “Scratch” is the straightforward, less than three-minute rocker on Reception, which proves Snow, Knights and Goldsmith are quite pleasing at banding together to rock intelligently. This song takes Reception into a very welcome punk rock tangent. Closing the EP is the aforementioned “Fool,” which is the third waltzy track. Don’t be fooled by the mellow beginning because it branches out and embraces the rock demons halfway through. The vocals don’t even begin until nearly five minutes into the song. I recommend checking out Reception and RSVP (released in 2015), both of which prove that even complicated melodies can be thrown in a rock and roll blender and come out smooth with a few chunks. The Francis Vertigo hold true to their musical inspirations, including Guided By Voices, Dinosaur Jr., Pavement, Big Star and Rush. Reception is available for download on Bandcamp, as well as on physical CD at Horizon Records and Cabin Floor Records stores in Greenville. Their RSVP EP is also on Bandcamp. Although The Francis Vertigo have no upcoming shows as of right now, you can follow them on Facebook.